But it can't just be running anywhere. 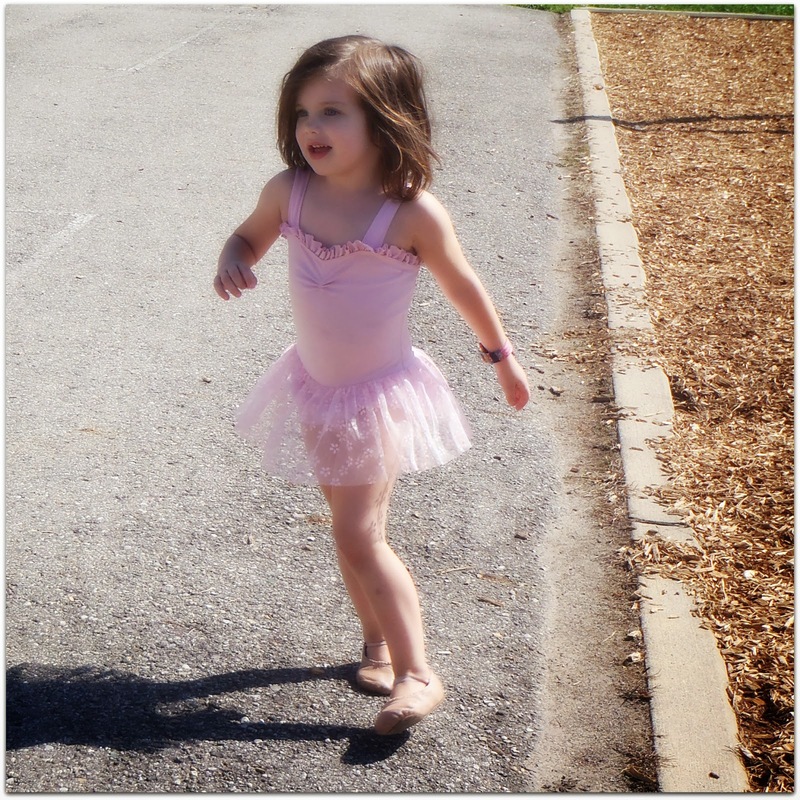 She loves to run on concrete (and has the scrapped knees to prove it). I have a feeling it has to do with her sensory seeking tendencies and the tendency of her joints not to register impact like other people's joints do. 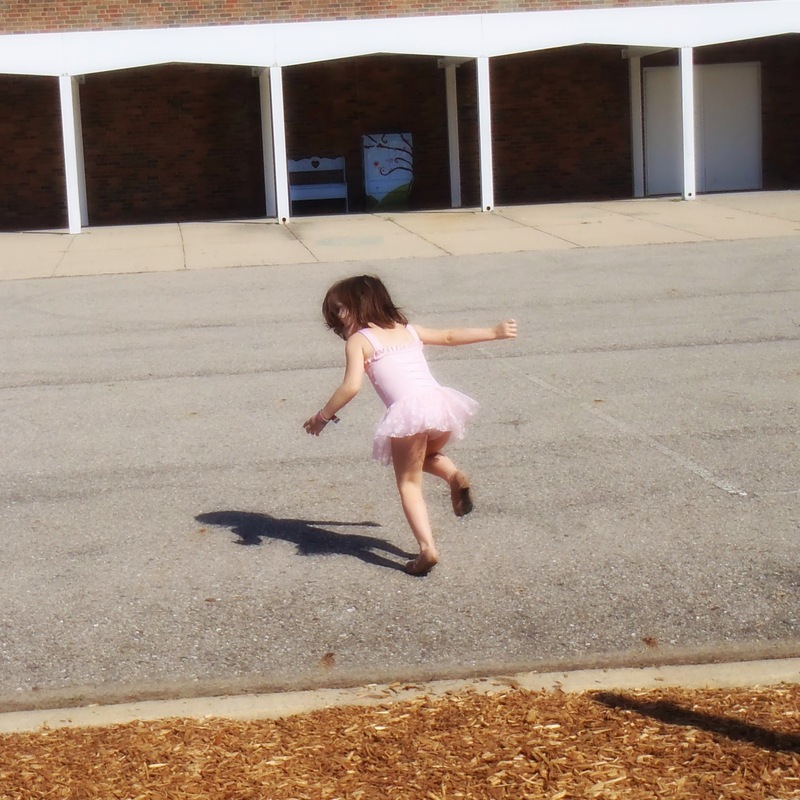 After watching her for quite a while I think that her love of running on cement has to do with the impact that she actually seems to feel when she goes sprinting across it. Grass and wood chips just don't work as well. 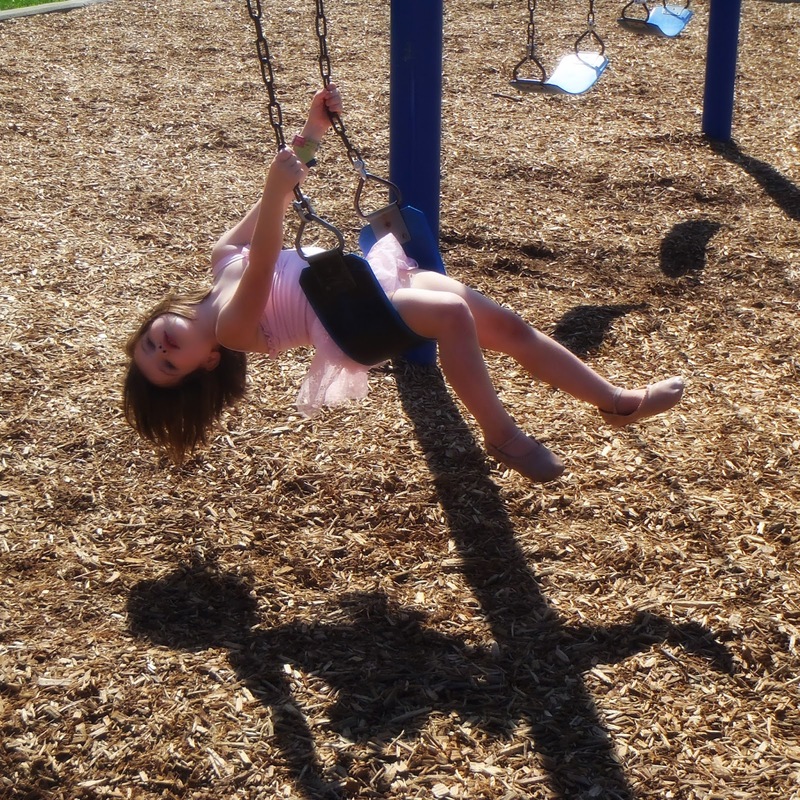 And then, after getting enough running, it's time to swing. The closer to upside down the better (on particularly sensory seeking days she makes being upside down her goal pretty much all day long). 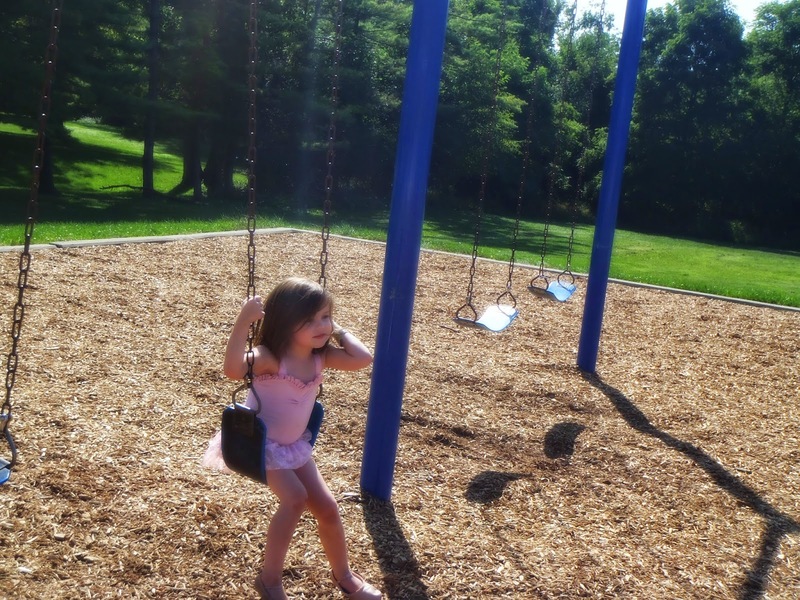 And then, finally, after all that prioprioceptive and vestibular input from playing on the playground, she's finally ready to relax and swing on the swings and grab my hand and walk to the car when it's time to go home.